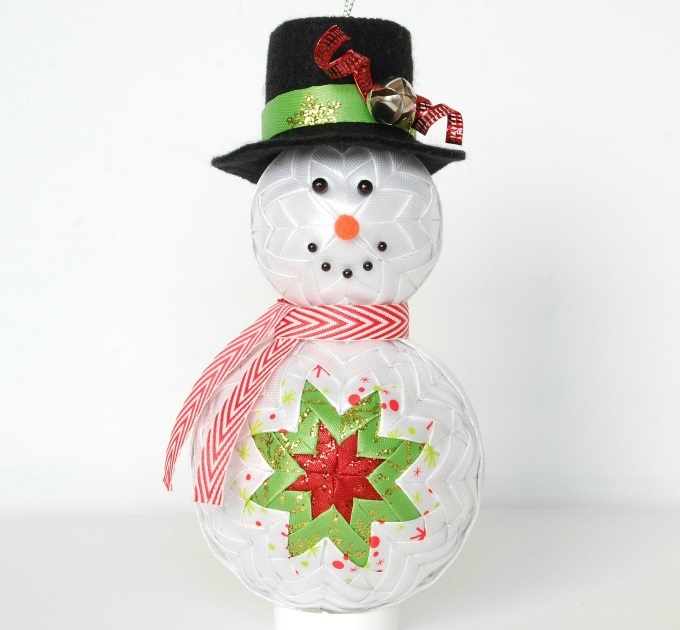 You can turn a simple styrofoam ball into a pretty, detailed, and elegant ornament – it’s amazing. And you have two nice options. 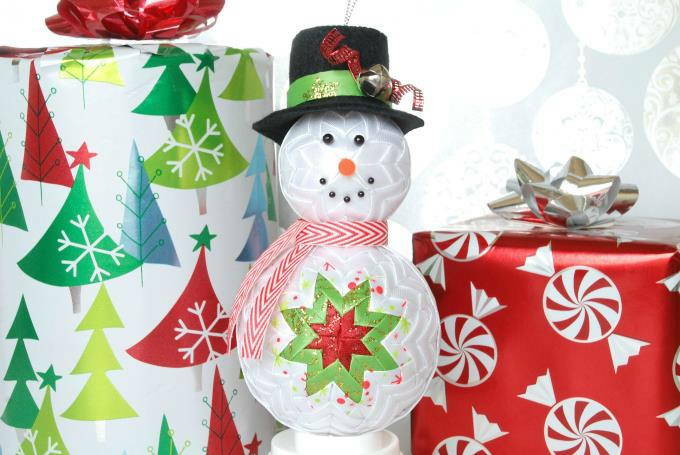 The body of the snowman is a beautiful ornament by itself – just attach a ribbon. Or you could add another smaller all-white ball for the head. This turns it into a snowman. It’s connected with a long toothpick. I sewed the hat together using my Snowman Hat – Pattern. Then I added the face pins, nose, scarf, and hat details. And the snowman “looks quilted” –with no sewing. I promise! Instead, you put it together with little pins. The ribbons are pinned into little triangles from the center outward – so the pins are hidden. After you get the center and the first star on, then it gets fun. You won’t want to put it down. 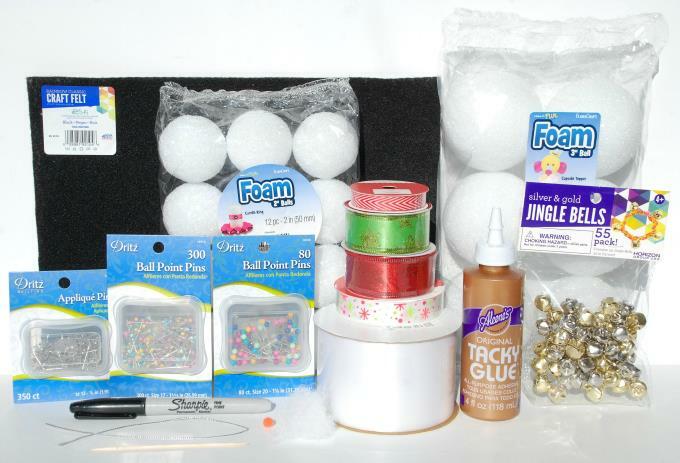 Here’s what you need to make it. He’s just adorable when he’s put together. When people see it – they’re going to think you used a sewing machine to make it – Hee Hee.